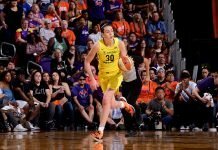 There are more prospective draft pick profiles on wnba.com the night before the draft than I’ve ever seen before. Could it be because this is a thin draft, most of the potential draftees aren’t “stars,” or all of the above? Yes to all of the above.